The main responsibility of our Social Work Team is to recognise and respond to the psychological, social, emotional and practical needs of both patients and their families. They are trained to offer support and assess patients and their families' needs relating to issues of living with a serious illness, impending death, loss and grief. 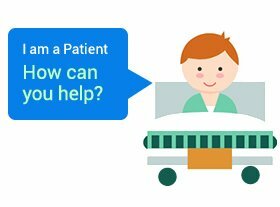 Providing a listening ear to patients, their families and carers. Helping you to explore the thoughts and feelings associated with illness and the changes it brings. Helping and advising patients on talking with their children and grandchildren about their illness. Enabling patients and their families to talk and express their feelings and to support one another. Liaising with Health and Social Care Trusts to secure the provision of a suitable care package or nursing home placement. Referral to other agencies including occupational therapy, Northern Ireland Housing Executive, Benefits Agencies and assistance with grant applications. We offer a range of complementary therapies which concentrate on relaxation and reducing stree, relieve anxiety and increase your general sense of health and well being. Our Hospice Carers Group provides support and information for carers of patients suffering from a life-limiting illness. All of us will have our lives touched by caring at some point; 3 in 5 of us will be carers in our lifetime and many of us will also need to be cared for. 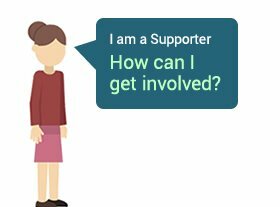 When you are looking after someone who is living with a diagnosis of Cancer, Multiple Sclerosis or Motor Neurone Disease, it can often feel like you're on your own. The Hospice Monthly Carers Group is here to help you connect with a group of people who know exactly how you feel and who understand what you are going through. Initially they may be strangers, but you'll be surprised how sharing an experience, a problem or just having a good old chat with a fellow carer can make a world of difference to helping you cope. The Group meets on the last Friday of every month, at St John’s House, Southern Area Hospice Newry between 11am and 2pm, where there will be expert advice and support available. Bereavement is quite unlike any other experience you will have had. Most of us at this time feel part of our world has been cruelly and unfairly torn away from us. If your loved one was in pain or discomfort, you may simultaneously feel a sense of relief that their suffering has ended. It is important to remember that people react to loss in different ways and there is no easy way to get through it. Our bereavement support service provides an opportunity to talk confidentially on a one-to-one basis with a member of our bereavement support team or counsellor either in your own home or in the Hospice Unit. This service enables families and carers, both adults and children, face the inevitable and help them through the grieving process by working through emotions and problems that you may find difficult following your bereavement. The adult group meet twice annually, in Newry and Dungannon. The group is held in Spring and Autumn and runs over a six week period. Bereaved relatives will receive an invitation to these meetings approximately 4 weeks before the meetings. We also operate a Bereavement Walking Group in Newry and Dungannon. The idea behind these walks is that for some people, it can be easier to talk about how they are feeling as opposed to sitting down face to face. The walks help people to deal with loneliness in a safe environment, surrounded by people who understand what they are going through as well as getting some exercise which is good for both mental and physical health. In addition to the Bereavement Support Groups, we also offer a monthly drop in Bereavment Support Service on the first Wednesday of each month between 6pm-8pm at St.John's House, Courtenay Hill, Newry. These sessions are open to anyone who has been bereaved due to cancer, MS or MND. The aim of these sessions is to help to make the bereavement journey less painful by sharing thoughts, feelings and helping participants understand the bereavment process. Support is available for children and teenagers in the form of one-to-one counselling, and bereavement groups on request. Each year we hold and Annual Remembrance Service, where we remember all those known to Hospice who have died during the year. This service, which is led by the Hospice Chaplaincy Team, read out the names of those who have passed away and candles are lit in their memory. We invite family members, carers, friends or partners, and everyone connected to the patient is welcome to attend. The Remembrance Service takes place each year at Dromantine Conference Centre, Newry and takes place the Spring. Each year we hold our annual Light up a Life appeal, which gives you the opportunity to celebrate the life of a loved one by dedicating a light on our beautiful Hospice Christmas tree during the festive period. As well as dedicating a light, you are invited to attend one of our Light up a Life services to see the lights switched on. Each year, we hold ceremonies in Dungannon, Craigavon, Armagh, Banbridge and Newry. To dedicate a light, you can contact the Fundraising Office on (028) 3025 1333 or download the form below and return to us. 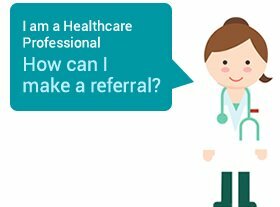 For further details on the Social Work Team, who can refer patients to us, and how we can assist you and your family, contact the Hospice Social Team on Tel: (028) 3026 7711.